Some Use of English Questions JAMB Keeps Repeating. There are over 1000 new questions to set every year for Use of English Examination by any examination body due to the wide scope of the language. However, examination bodies sometimes repeat certain questions for reasons best known to them. Unlike in other subjects where questions are usually repeated word for word, in English language, you have only the key words or phrases (which are usually italicised or capitalised) of these questions being repeated while the questions take different forms or patterns. At one point you might be asked to give the synonym (nearest in meaning) of the repeated keyword while at other point you might be asked to give the antonym (opposite in meaning) of the repeated keyword. If it is an idiom, you are expected to choose the correct meaning of the idiom among other options. 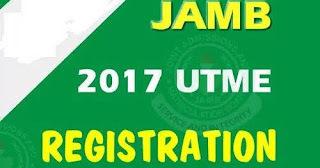 Today, I will be showing you some words and idiom that have appeared twice or more in JAMB's Use of English Examination. 1. The word “EVASIVE” appeared in 1985 and 1997 JAMB's Use of English Examination. Many untrustworthy students give EVASIVE answers to questions which they fully understand. The lawyer gave EVASIVE answers to all the questions. 2. The word “FLEXIBLE” was repeated in 1986 and 2012 JAMB's Use of English. Mr. Jack was most FLEXIBLE in his instructions. The principal was advised to be FLEXIBLE on critical issues. 3. The idiom “HEART IN HIS MOUTH” appeared in 1978 and 2006 JAMB's Use of English Examination. He spoke with his HEART IN HIS MOUTH. E. with fright and agitation. He has no reason to have his HEART IN HIS MOUTH. 4. The word “SUMPTUOUS” was repeated in 2001, 2005 and 2012 JAMB's Use of English. The village girl wore SUMPTUOUS clothes. Some people consider the leather upholstery and thick rugs a bit SUMPTUOUS. Yes, that is it! Please work out your salvation with fear and trembling by looking out for the contextual antonyms and synonyms of the keywords (the capitalised words). Don't fail to look for the meaning of the idiom too. This will no doubt help you in choosing the correct answer among the options given. If you are confused, don't hesitate to use the comment box to ask your questions. I have the answers to the above questions. If you want to confirm your answers, don't fail use the comment box too. I wish you the best in your examination!